Though doubt and intimidation of online dating are valid, rest assured knowing there are ways to weed out those with different intentions! Below are some helpful tips to save you much of the well-known stresses of finding a real relationship – online. 1. Be comfortable alone with yourself first. Women can sense whether or not a man is desperate, much like men can sense when a woman is overly-dependent or eager to settle. Unless you are looking to turn away women, the best way for a man exhibit his ability to protect his woman, is for her to know that he does not need her – he just wants her to be a part of his story. Ask yourself, would you want to be with someone who does not feel good about themselve? Before you are able to take care of your partner, make sure you are treating yourself the same way. Spoil yourself, dress well, be well-groomed, whatever makes you feel good. Note that your sexuality will shine when you feel most confident. 2. Do not settle with your first match. 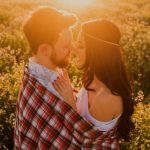 Chances are, your first, second, or even third match will not be “The One.” Though it is possible, online dating gives you the advantage to fail – without the endless misery of losing the only best thing you have ever met. In fact, the more experience you have communicating with women, the better your understanding will be of what you are looking for. Do not be afraid of failures. It would seem that in our time, finding a loved one for a relationship is an easy task. Enough for you to be registered on one of the dating websites or downloading a dating app. But how long will such communication continue for? How to find a woman for a serious relationship? External beauty should never be a reason not to take a chance. If given the opportunity to shoot a three-pointer to make a million dollars, would you take it? You’d have nothing to lose that you do not already have. Similarly, when looking for excuses not to talk to the woman you desire, there is no reason to assume that you can not take a chance. The best things in life are earned. Like the old saying goes, “If you don’t succeed, try, and try again.” and “The more you try, the easier things will get”. If you are truly in search for a life partner, always remember that sooner or later, your facade comes to an end. Your true self is who will attract the right person, you will not be able to maintain a lie forever. If a woman does not accept you for your true self, she is not the right partner for you. No matter how difficult it may be to accept, you should never have to pretend to attract The One. The best kind of love is the feeling of knowing the person you earned, earned the real you. 6. Do not be afraid to make connections. Not every date will end up the way you envision. However, the person you meet may one day be the reason you meet your partner, your future business partner, or simply be an incredible friend. It is absolutely okay to walk away from a date without disappointment. It is okay just to add one more person to your incredible life. Additionally, appreciate human differences. Being picky will only result in women being picky about you.